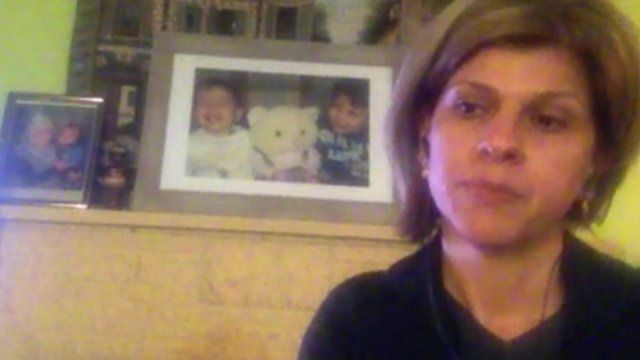 Aunt's heartbreak over boys' death Jump to media player Tima Kurdi, the aunt of a three-year-old Syrian boy, Alan Kurdi, found drowned on a beach in Turkey has told the BBC how she found out about the death of her nephews and sister-in-law. 'The most beautiful children in the world' Jump to media player The father of two young boys who died while trying to cross from Syria into Turkey speaks about his loss. 'Coming to the UK saved our lives' Jump to media player David Cameron has said the UK will fulfil its "moral responsibilities" over refugees fleeing to Europe from Syria. Walking through Budapest station camp Jump to media player The BBC's Matthew Price in Budapest says several thousand migrants are still waiting at Budapest's international railway station in the hope of getting on trains to other parts of Europe. 'Surreal scene' inside Budapest station Jump to media player The BBC's Ben Brown reports from inside Budapest's Keleti station were migrants are staying in the hope of taking trains from Hungary to other parts of Europe. Scuffles as migrants reject Hungary camp Jump to media player Scuffles broke out west of the Hungarian capital, Budapest, after police tried to force migrants off a train at a refugee camp. Europe divided over refugees Jump to media player Find out why different European countries have disagreed about the best way to deal with the thousands of migrants and refugees arriving from other parts of the world. The aunt of a three-year-old Syrian boy found drowned on a beach in Turkey has told the BBC how she found out about his death. Alan Kurdi drowned along with his five-year-old brother Galip, and their mother - having fled their home town of Kobane in war-torn Syria and a camp in Turkey. Tima Kurdi, who lives in Vancouver, told the Victoria Derbyshire programme the family's deaths were "heartbreaking".